To establish, advance, and forever solidify collective global power for all melanated Afrikan people. Be one of the 60,000 founders to establish our own independent Treasury. We are self funded, so we can always use your helping hand. Your contribution is important! We need State and City Representatives. We need team players that are in Love with the future of our people! The All Afrikan Empowerment Society is a private foundation and association of citizens passionately concerned about the condition and future of Afrikan people in the united states and globally. To this end we are committed to institutionally combating systemic white world supremacy. AAES, pronounced "eyes", is a global organization in its vision. 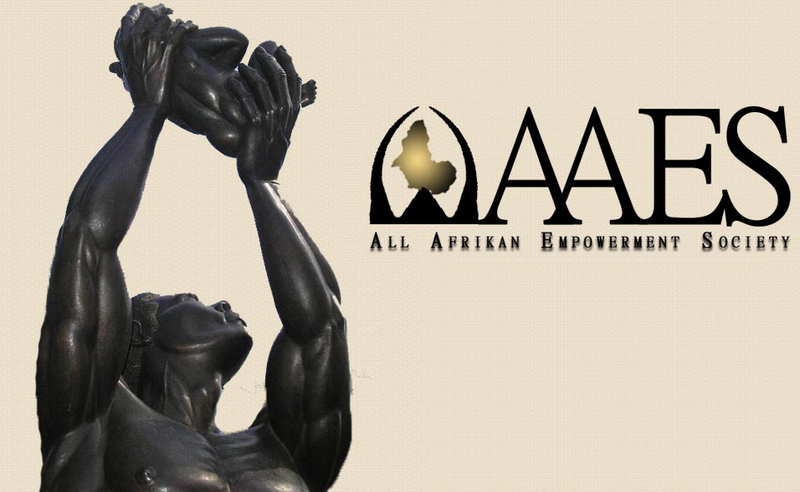 Wherever Afrikan people can be found, AAES is interested in their well-being and their prosperity. Afrikan people have the unique distinction of being ill-treated and under siege by all other people of the earth without a justifiable reason. For this reason, it behooves us to unify with one another for mutual support and survival. It is clear that a concerted assault on us as a collective group by every other people either through propaganda, economics, or out-right physical assault and molestation.